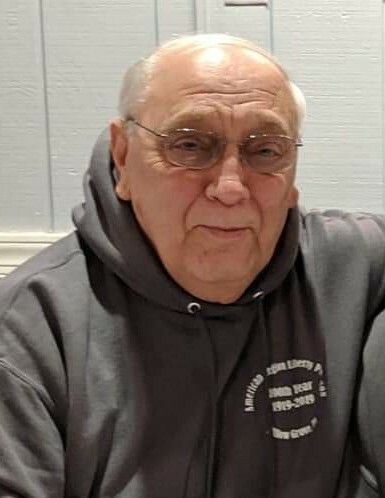 John Malicki, 74, of Willow Grove, passed unexpectedly on February 9, 2019. He is survived by his wife Ida Malicki (nee Dare), children Susan M. Isabella (Paul Sr.), Kimberly A. Iacovella (Joe), and John J. Malicki III, grandchildren Paul Isabella Jr., Gianna Isabella, Allison Iacovella, and Kayla G. Malicki, and his sisters Jean Broskley, Dorothy Fritz, and Irene Bradley. He is also survived by his longtime companion Bella. He was preceded in death by his sister Lorraine Rideout. He was a former Bus Driver for Upper Moreland School District. Relatives and friends are invited to his visitation on Friday evening February 15, 2019 from 6pm to 8pm, and Saturday Morning from 830am to 915am at the John J. Bryers Funeral Home, 406 Easton Rd., Willow Grove PA 19090. Funeral mass to follow at 10am on Saturday at St. David RC Church, 316 Easton Rd., Willow Grove PA 19090. Interment in Holy Sepulchre Cemetery. In lieu of flowers donations in John’s memory would be appreciated to American Legion Post 3018, 2305 Computer Ave, Willow Grove, PA 19090.